The new vintage of rosé is generally released right around the beginning of Spring. In April and May the shipments from Europe start to land. It is an exciting time. The wines are fresh. They pair well with all kinds of foods, and best of all, they are easy on the wallet. Each year we bring in a variety of rosé to give everyone a nice choice. 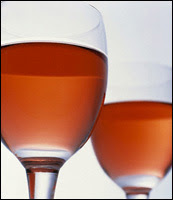 This year we are focusing entirely on the French rosé because over years of drinking them, they are, for us, the best. Here are our four picks! Made with a unique blend of 40% Merlot, 40% Syrah and 20% Tannat. Almost pomegranate-like in color this wine has an intense bouquet. Full-bodied and fresh on the palate with mild spicy notes and plenty of hints of raspberry and just-cut flowers. Finishing with a salty note. The estate is located within the foothills of the Pyrénées along the Mediterranean coast. Made from 75% Cinsault, 15% Syrah, 10% Grenache. A wonderful, bright Rosé displaying fresh raspberry notes with a slight touch of mineral and dried herbs with a dry finish. This one is a blend of 70% Cabernet Franc (whole-berry crushed), 25% Syrah and 5% Grenache which has been bled from the tanks. It displays beautiful high-toned cherry notes and mineral. Focused, racy and bright acidity. All good. Made from 100% Pinot Noir. Hand-harvested. Naturally fermented. Elegant style. The result is a pale rose wine, slightly spicy, with a vague hint of pepper. It is a thirst-quenching wine to drink with summer meals, and can also be paired with exotic cuisine. Chill one down. Sit outside. Take in the sun. Pop the cork.